In the post-credits of Captain Marvel, Carol Danvers is briefly seen sporting a brand new costume as she introduces herself to Earth’s Mightiest Heroes. 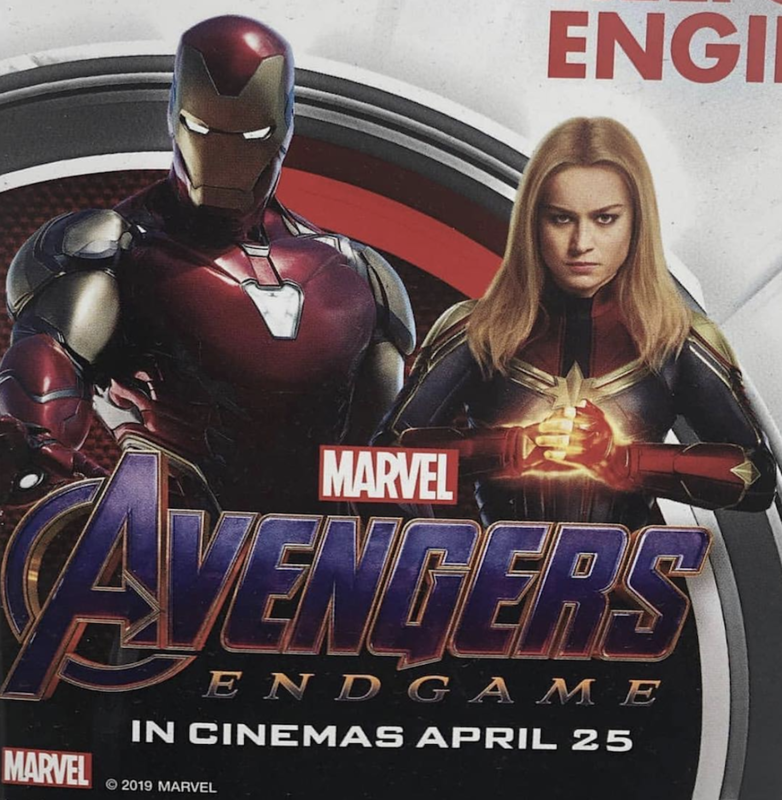 But while the heroine has since appeared in the most recent Avengers: Endgame trailer, as well as various posters for next month’s release, her latest design has yet to show up again in any of the promotion. That changes with this new piece of promo art though, which shows Captain Marvel sporting some golden shoulders to match Iron Man’s. Since the post-credits of her solo movie showed Carol arriving at the Avengers Compound in this outfit, it’s unclear why she’s then seen wearing some more down-to-earth attire in the recent Endgame trailer. Could her black top and jeans be the product of altered promotional footage? After all, Marvel seems pretty shy about giving us a proper look at her new costume, and even has her sporting her old getup in the Endgame posters. It seems possible, but then again, maybe she has a good reason for putting on street clothing for a while. In any case, we’ve yet to find out why Carol felt the need to give her old costume an update, but given the two-decade-plus gap between Captain Marvel and Endgame, maybe she doesn’t need a specific reason for the change in style. At the same time, Marvel Studios head Kevin Feige has previously hinted that Captain Marvel 2 might take place between the two movies, so perhaps her altered outfit is a story for another time. But regardless of when and why Captain Marvel started sporting this new look, Earth’s Mightiest Heroes will likely be glad to have her on board as they seek to turn the tide against Thanos. We’ll find out if the team fares any better in this mission than they did last year when Avengers: Endgame hits theaters on April 26th.